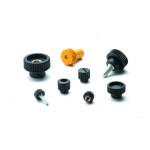 We have a large range of thumbknobs for all kinds of applications where you need maximum grip from a small thumb knob / thumb wheel. There are many applications where you need some adjustment or something to help clamp something tight but it only needs a small thumb knob to do it. Our ranges can offer a great solution with them all having some kind of knurled pattern on the outside to help with grip that you might need. A variety of inserts materials are available, from plated steel to brass to stainless steel with both male and female variations and tapped through also an option. 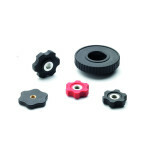 The range of washer products is a little more unique to Jencan and not a product that is commonly found but allows users to have something with a relatively good grip that is also thin for applications where space is at a premium. If you don’t see what you want, please ask as many more variations are available.